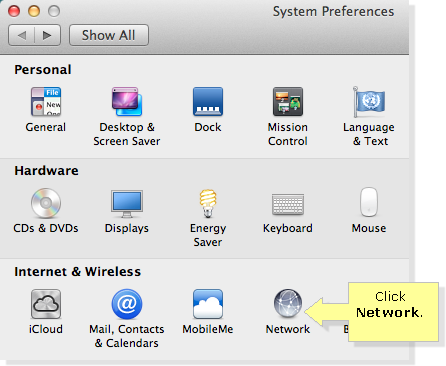 You can manually set up preferred wireless networks on your Mac computer. This will lessen the burden of storing corrupted/unused/inactive networks your computer has been wirelessly connected to before. To know how to check the wireless settings using Linksys Connect, click here. To check using the web-based setup page, click here. 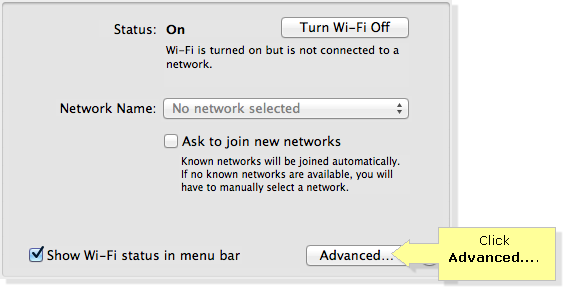 In the Network panel, click the Advanced… button. Under the Wi-Fi tab, click the Add button. 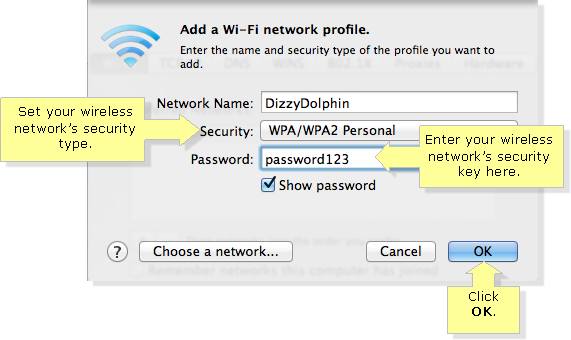 Enter your Linksys router’s wireless network name in the Network Name field. Set the Security to match your network’s settings and enter your security key in the Password field then click OK. 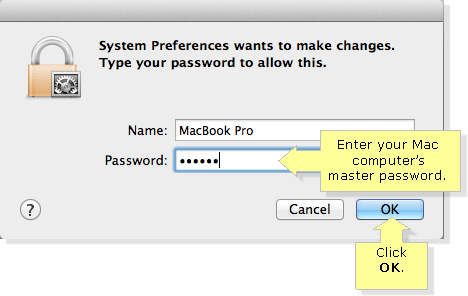 NOTE: You may be asked for your Mac master password to confirm changes. 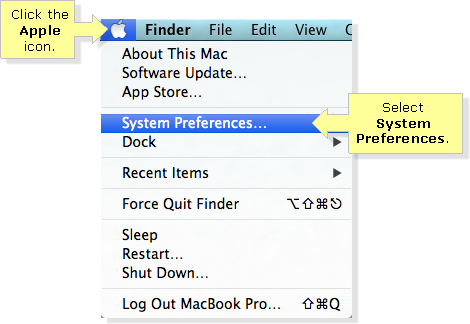 This password provides security for your Mac computer’s files and serves as a safety measure should you make any changes/configuration in your Mac’s settings. Enter you master password then click OK.
Back in the Network panel, the Airport network location will now display that you have successfully set your preferred network and is now connected to it. You have now successfully setup your preferred wireless network on your Mac computer.